We are loving this sweater for a chilled off-duty look. 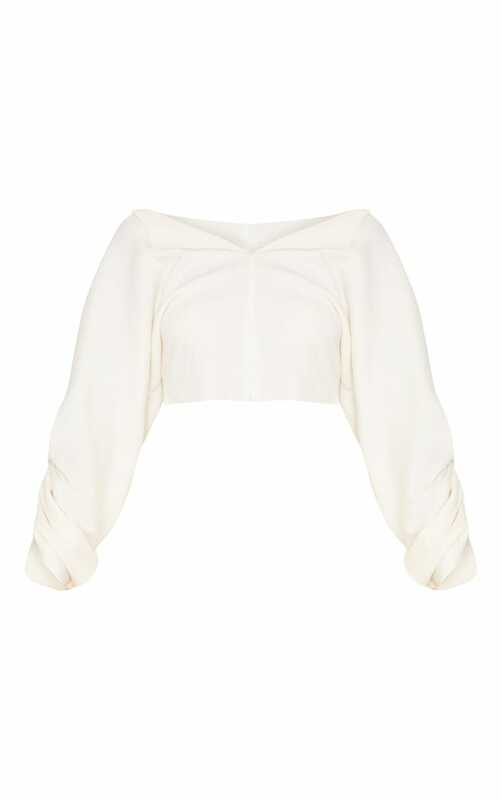 Featuring a cream ribbed material with ruched detailing and a cropped fit. Team this sweater with joggers and heeled boots for an off-duty look we are loving girl.